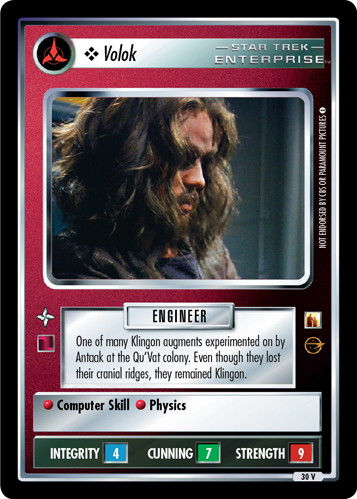 One of many Klingon augments experimented on by Antaak at the Qu'Vat colony. Even though they lost their cranial ridges, they remained Klingon. Characteristics: affiliation, 22nd Century , Augment, Klingon species, support personnel.